Abstract: This paper considers the uncertainties in environmental design values for offshore structures estimated from measurements. Emphasis is placed upon the prediction of extreme conditions since this is more demanding upon the environmentalist and is generally more critical than the prediction of values required for fatigue calculations. In particular we consider the uncertainties in estimates of 50–year and 100–year return values of significant wave height from long series of wave measurements; but many of the principles and problems discussed are equally applicable to other environmental parameters such as wind speed and sea level. The subject divides broadly into three: uncertainties in (1) establishing the data set, (2) deriving the design criteria from the data set, (3) assessing values a structure might have to withstand during its life. Included in (1) are possible errors from instrument malfunction and bias in the data because of inherent characteristics of the instrument, as well as statistical sampling uncertainties due to the short–term randomness of the variable being measured. (2) includes uncertainties in the methods of estimating a design value − and hence in the confidence limits placed on the value − uncertainties in estimating the joint probability of occurrence with other environmental parameters. Even if a design value such as the 100–year wave height were known precisely, there would still be considerable uncertainty as to the largest wave that might occur at a structure during its lifetime; this problem is covered in (3). Abstract: The calculation of loads on offshore structures by use of a design wave depends inter alia on the selection of the ‘correct’ wave period. Using linear wave theory, expressions are developed to enable the calculation of errors in wave period. The resultant tabulated data indicate that the effect can be particularly significant for individual structural members (depending on their position) and cannot be ignored when considering total load. Abstract: Lake Licancabur sits astride the Chile/Bolivia border in the South American Andes. At 6,000m it is the highest lake in the world and, as such, has caught the imagination of archaeologists, biologists and divers. This paper is an account of the final phase of a series of expeditions led by Dr Charles Brush to study this unique lake. 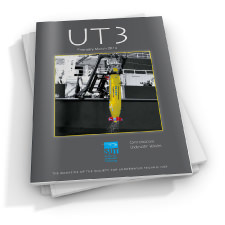 Abstract: The 3rd SUT diving acquaintance course was held at Fort Bovisand Underwater Centre, Plymouth, on 30 September–3 October 1985. As in previous years, the course was aimed at engineers not necessarily directly involved in diving, but who would benefit from an understanding of the problems and limitations inherent in diving. In structure, the course was similar to the earlier courses, consisting of lectures, demonstrations of diving equipment and techniques, actual diving (optional), and syndicate work in which course participants applied themselves to the solution (on paper) of problems arising in ‘real’ diving situations and presented in the form of a ‘scenario’. Abstract: In an attempt to assess the losses incurred when using an unsealed hydraulic pile driving hammer underwater a number of theoretical and experimental investigations have been conducted. The purpose of these undertakings was to examine hydrodynamic and stress wave transmission effects and to make recommendations to improve installation techniques for deep foundations used in the offshore environment. Abstract: As an industry, fishing is still far from well known and its exponents are undervalued in many parts of the world. As an area of research and development its many disciplines are also often undervalued and unknown, dwarfed in scale and complexity by other maritime and offshore activities. First, then, a summary. The UK Sea–fishing industry provides employment for a substantial workforce both at sea and onshore. The latest available figures show that during 1984 the 6500 vessels in the fleet were manned by over 16,100 regularly employed, full–time fishermen and a further 5600 who fished on a part–time, mainly seasonal basis. Abstract: Canada is unique in combining its national oceanographic research with its hydrographic surveying and charting operations in one organisation. Consequently research vessels must no t only serve multi–purposes in oceanographic research, such as physical, chemical, biological and geological but must also be capable of carrying out hydrographic survey operations. In most countries this last function is carried out by specially designed naval vessels. New ship construction for the federal government’s oceanographic and hydrographic organisation is planned on a five–year cycle approved by the Treasury Board. In this paper four vessels are discussed in various stages of design construction. The highly diverse requirements for the ships require considerable ingenuity of design. Oceanographers require ships that are sea–kindly on station, hydrographers require ships that are efficient and sea–kindly underway. Oceanographers require large open decks and heavy cranes, A–frames and other deck equipment; hydrographers require the ship to be able to carry several large survey launches and to be able to land and house a helicopter. General matters to be considered are the capabilities of a ship to work in ice, if there should be bubblers, bulbous bow etc. Acoustic quietening must be a consideration and naturally, the method of propulsion − single or twin screw, numbers and living conditions must be considered in a changing world of social conditions. Abstract: This paper initially describes an Underwater Levelling System which was invented and developed by the Author in 1978, details of which were contained in an article in this Journal (Ref 1) and also in the book Underwater Engineering Surveys by PH Milne (Ref 2). 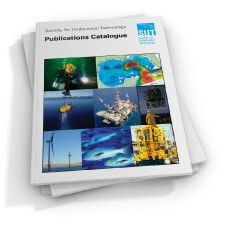 The main content covers the actual use made of a portable version of this device on a variety of projects, including sea bed surveys, high accuracy pipeline profiling, and the underwater construction of sea outfalls and foundations. 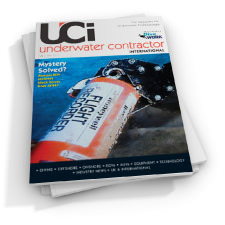 Abstract: Underwater installations frequently require the use of underwater mateable electric connectors. Inductive–type connectors are often preferred because of reliability considerations, particularly when many underwater mating/unmating operations are expected during the service life. Modern subsea installations for the production of oil and/or gas are therefore often equipped with inductive couplers. Unfortunately, inductive couplers have a number of drawbacks: they are bulkier than pin–and–socket type connectors and the limited efficiency restricts their applicability in the complex power distribution networks that are expected in future subsea installations. the applicability of inductive couplers can be improved in three ways: (1) the coupler characteristics can be improved by using a coaxial, rather than the more conventional face–to–face design; (2) an alternative configuration of the power distribution network enables unrestricted live disconnection of couplers; (3) a system of capacitive compensation of reactive power can reduce the influence of the gaps between the coupler halves on the network characteristics. Moreover, this system benefits the overall network efficiency. Abstract: Underwater inspection is one area of the offshore oil and gas industry that has undergone many changes in the last ten years and certainly more than other areas of onshore inspection and non–destructive testing. The introduction of new underwater techniques and inspection methods together with changing design and inspection philosophies have improved both inspection standards and efficiency. It has become of key importance that the inspection personnel involved can demonstrate their competence and can re–train and gain further approvals to satisfy the needs of the offshore industry as they continue to develop. 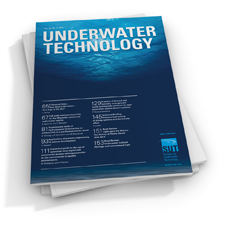 This paper gives the background to the requirement for certification for underwater inspection personnel and how, in the United Kingdom, the CSWIP scheme has become generally accepted as the principal certification body. The relevant features of the CSWIP organisation are described and details are given for the Underwater Inspection examinations and their underlying requirements. Abstract: Interest in directional wave spectra has been increasing in recent years as a result of both scientific and engineering requirements. In scientific studies the directional wave spectrum is important in understanding fundamental processes in the generation and development of waves and in the verification of numerical wave directionality is a necessary requirement for the design of offshore structures and ships. Three recent conferences have reflected the interest and importance of this subject (Refs 1–3). Measurements of directional wave spectra are now available from data buoys, platform–mounted sensors and from remote sensing techniques. A central problem in working with routinely collected directional wave data is the presentation of such data in a convenient form for users. The purpose of this paper is to discuss the analysis and presentation of directional data with reference to user requirements for both short term and long term statistics. The outline of this paper is as follows. A brief summary of the systems available for estimating the directional spectrum is first made. Particular attention is then given to the analysis of wave data from surface following buoys and the parameters which can be extracted from such an analysis. Finally, an example of the presentation is given using wave data collected in the southern North Sea. Abstract: From the earliest times man has used his technology to extract biological and mineral resources from the sea. Initially this was restricted to near shore fishing, harvesting molluscs and seaweed and planning salt. As needs increased and vessels developed, man moved further away from the shore for his fish. With the advent of the industrial revolution, the ability to dredge made sea gravel available to him. Within the past three decades, hard coral, china clay and hard limestone have also been exploited to some degree and the extraction of hydrocarbon fuel has become one of the major areas of exploitation of resources. These advances were due, as in the past, to the increased needs of nations and the equipment and techniques that were developed to enable these needs to be met. Abstract: The purpose of this paper is to provide a general introduction to the subject of offshore marine operations. It starts with an outline of the various types of vessels available for the support of offshore/underwater construction and suggests factors to be taken into account when selecting appropriate vessels for transportation, towage, installation and construction support offshore. The paper then discusses the principal marine operations interfaces followed by environmental, engineering and safety considerations, and ends with the recommendations that vessel selection should be made early in an offshore construction project, and that the engineering aspects of marine operations should be integrated into the overall engineering of the project. 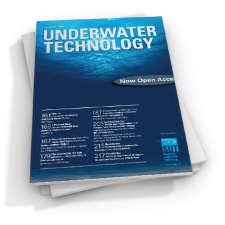 Abstract: A novel type of underwater mateable electric connector is presented. It is based on the passage of high–frequency (e.g. 10kHz) electric current between two metals electrodes, immersed in seawater. If the layer of seawater between the two electrodes has a thickness of a few mm or less, the resistive loss in the connector is small. The connector has a capacitive behaviour, which is explained by the electro–chemistry of the metal–to–seawater transition. This capacitance is fairly large and the impedance to a 10kHz current consequently low. Laboratory tests have shown that, at 10 kHz, high current densities, of the order of 230 mA cmֿ for titanium for example, are permissible without causing significant electrochemical corrosion. Hence, relatively small connectors can be constructed for power ratings up to several kVA. Compared to conventional pin–and–socket type connectors, the capacitive connector has the advantage of being very reliable, having a high tolerance to seawater ingress and misalignment, and having a simple construction. Compared to inductive couplers, the small size, the high tolerance to misalignment and the high efficiency are the most prominent advantages. Abstract: Over recent years there has been an increasing demand for target detection and classification sonar systems. The main applications for these systems are: ASW, mine clearance and intruder detection. Conventional packages consist of a low frequency long range sonar for target detection at long ranges and a short range sonar for target classification. Detection sonars show only a ‘clip’ or mark to indicate a target i.e. something there or not. classification sonars produce an integrated picture or sonar image from which the operator can deduce what the target is. finally, a bathymetric package is often used to measure temperature, depth and speed of sound. The sonar operator uses the bathymetric profile to enable him to optimally position the sonar. This paper describes a system which integrates all these features into a multi–role surveillance sonar. Multiple arrays are incorporated into a single underwater package (for classification and detection) along with a set of bathymetric sensors. Sonar performance is optimised over the 50m–3000m range by providing full control of transmitted power (in both modes) and pulse width (in classification only). Over such a large variation of ranges it is necessary to provide flexible gain control. This is provided by digitally controlled manual or automatic gain control systems. Control of the sonar is via a dual display console with trackerball controlled ICON/Menu selection. In addition to standard gain laws the operator may programme the gain via the trackerball and ICON/Menu control system. Abstract: The paper aims to analyse commercial market requirements for self contained array tracking equipment, and leads on to system and design specifications. Whilst such an application does not present ideal conditions for hydro–acoustics it is argued that, by adapting basic principles and standard products, this is the only means by which the requirements can be met..
Several hydro–acoustics methods are reviewed, and other military and commercial applications of this type of system are also considered. Abstract: This paper establishes the requirements for subsea pipeline pig tracking, and examines available principles and their limitations. It follows the selection of acoustic ranging methods and describes current procedures and outlines possible future developments and applications.